Soft, brightly-colored pieces engage the senses! 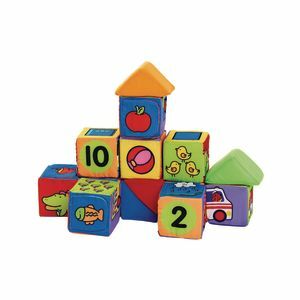 Building blocks are stackable, matchable and washable Ideal for building motor skills and logical connections Enhances creativity through sorting, sequencing and creating combinations Set of 14 pieces includes 10 soft cubes and 4 soft triangles Each measures 3"Sq. 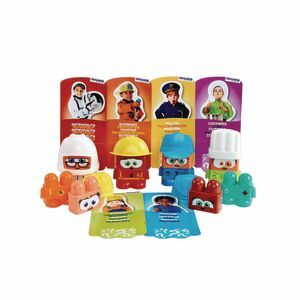 Build them up and knock them down! 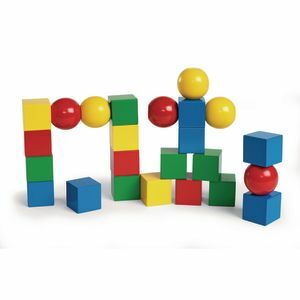 This classic and colorful building set consists of 18 magnetic blocks and 6 magnetic globes.